Turning hunger into hope…one child at a time. We specialize in serving the best Coffee/Espresso experience in town. We bring the coffee shop right to you, making all of your favorites from hot drip coffee to the best cold brew available. We have all the flavors including caramel macchiato, vanilla latte, caramel latte, flavored iced teas, chai latte and even pumpkin spice when the fall comes around. All the flavors from your local coffee shop but we do a little more. We have drinks inspired from Arizona and Mexico like our best selling Horchata Latte, and Cajeta Latte and our newest Churro Latte. You can get Mexican sweet breads of all sorts, muffins, and we now offer Breakfast burritos. We provide Coffee / Espresso service for large companies including St. Josephs Hospital, Simonmed, The General Insurance, and LabCorp to name a few. We also serve special events and festivals, and can cater your private party. Love Acai Bowls offers very unique ACAI BOWLS directly from South America. ACAI is a berry from the Amazon considered a Superfood for its nutrients. It's rich in antioxidants, omegas and fiber. The Acai berry is one of the most trendy fruits among millenniums and people that are into Healthy and organic eating, such as yogis, college students and young mothers. We Love Acai Bowls and we invite you to Love them too. We also make sure to be part of our community by linking our truck with art and the spirit of Phoenix and Arizona. We did all of this by opting not to wrap the truck but have the colabotation of one of the best muralist of the Roosevelt Row Project, Lalo Cota. Lalo hand painted the sunsets of Arizona, blended with our fruits and capture our escense with the colors of Acai and the love that I have for healthy food. Our theme is Love, Love for yourself, Love for your body, Love what you eat, Love Acai Bowls! 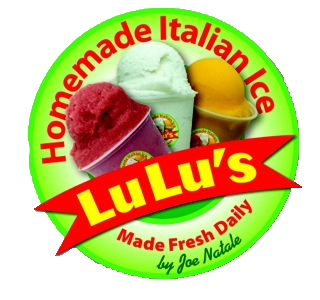 LuLu’s Homemade Italian Water Ice is made with pride and care daily by Joe Natale (owner, chef, clerk and chief bottle washer) in small batches using the freshest seasonal fruits, purees, fruit juice and cane sugar to produce a wonderfully smooth product texture that is full of nutrients and robust flavor. He does not use stabilizers or artificial flavorings in his signature products and 100% natural cane sugar is used minimally to maintain the taste of the natural fruit. His Italian Water Ice is sure to please the most discriminating critic and food lover. Quality food has always been one of life’s simple pleasures to Joe and his my family. Joe passionately strives to produce the most flavorful and nutritious Italian Water Ice available and he is proud to offer it to you, his customers. Marcel Waffles imports its flour directly from Belgium and sources the rest of the ingredients locally. We serve two styles of Belgium waffles. Liege waffles, made with sugar pearls which produces a rich, dense, sweet waffle. The Brussels Waffle is more traditional waffle, larger, lighter and more crisp producing a great waffle for both sweet and savory choices. All toppings, sauces and meats are made from scratch and prepared freshly. Mediterranean Majik is a full service food truck offering fresh Lebanese, Greek, Moroccan and Turkish food with a twist to the Valley of the Sun. All produce is purchased locally as the seasons permit. Our truck offers a wide variety of dietary choices such as vegan, vegetarian and carnivorous. Everything served is freshly sliced, marinated and cooked within our truck, nothing is frozen. We strive to offer Phoenix a taste of traditional Chinese mein dishes that are unique, satisfying, and delicious. The name isn’t a clever one. Mustache Pretzels serves up scratch-made, hand-rolled soft pretzels shaped like handlebar mustaches. Don’t get it twisted: Great mustaches aren’t born – they’re bread. New Flame Cafe serves “Mod Nostalgic Comfort Food”. We lean towards a Southwest Flair, using peppers and chiles in most of our entrees. We roast, toast and dice them on many sandwiches, in our sauces and our jams. We serve up a variety of meat sliders and burgers topping them with our “Jumping Bacon Jam”, “Happy Jalapeno Jam”, and specialty cheeses. We serve “Street Smart Taco’s” from pesto shrimp to Kahlua pork. We prepare Lavash pizzas with all your favorites, specialty soups and salads. We change our menu to fit the gig, and weather, serving up breakfast, lunch, dinner options-even desserts. Noodles Around the World! Your favorite pasta dishes with some pizazz and extra flair! Gourmet Food Truck with something for everyone! We specialize in catering, please call 480-414-1212! Our concept is pretty simple " comfort food from the 70's and 80's including fresh pressed burgers served on homemade bread, grilled cheese with tomato soup, sloppy Joe's, quesadillas, carne asada fries and fried bologna just some of the favorites we serve up. Family owned and operated food truck based in Gilbert, AZ. Giving the people traditional pasta dishes and a build your own pasta menu with endless tasty combinations. Our goal is to treat your taste buds while you're on the go! Phoenix Phreeze Shaved Ice is locally owned and operated by Arizona natives and was started as a way to recapture the excitement we all felt as kids when we heard the ice cream truck, walked to the candy store, or elbowed up to a snack bar. There was nothing like seeing that amazing assortment of sweet treats and knowing that we could choose whatever one we wanted. With Phoenix Phreeze, you can bring that feeling to your own private party. Whether you want to see your adult guests with red and purple tongues or you want to hear the excitement buzzing from children creating their own flavor combinations, Phoenix Phreeze can help create an amazing party that no guest, young or old, will soon forget. Pizza Arno is an Italian inspired flatbread pizza. We provide a fresh, light pizza made with quality ingredients.